Purple perfection! 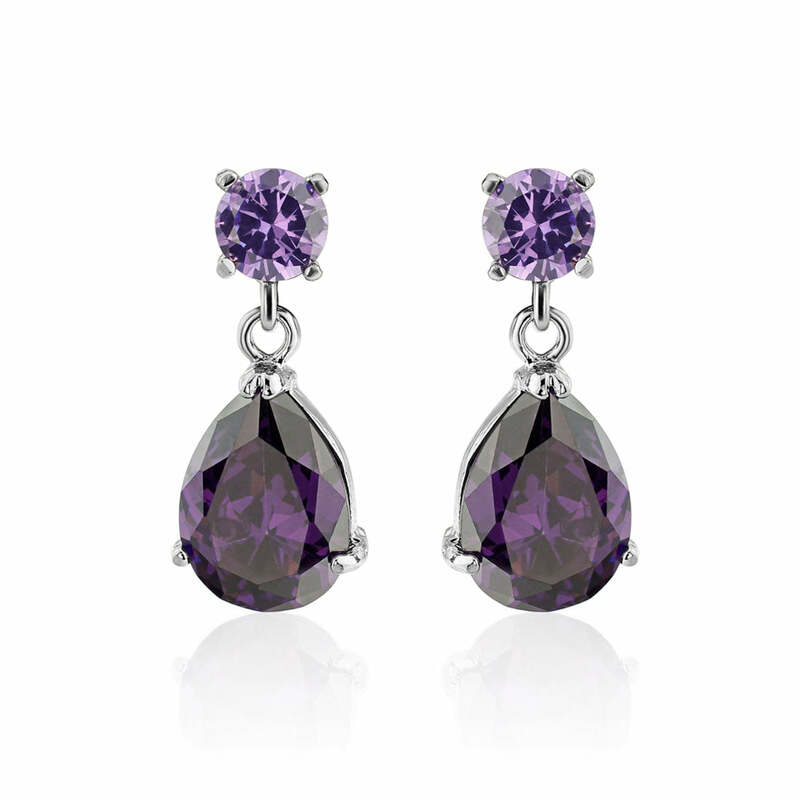 These dazzling pear drop earrings with their rich Amethyst hues, ooze 1940s statement style. The rich tones of amethyst and the eye-catching glint of silver accents come together perfectly in these brilliant and dazzling amethyst drop earrings. They are both decadent and refined and we can't imagine a more perfect combination of characteristics. Whilst they may be vintage-inspired, they're also bang up to date and the clean lines and elegant design give you a pair of earrings that make you feel good the moment you put them on. If you need a burst of confident colour in your outfit, Amethyst Angel are beyond compare. As bridesmaid earrings, they are also an ideal choice. Wonderfully flattering, beautifully balanced and perfect for all day wear, you can be sure your maids will look and feel fantastic in Amethyst Angel. They're a fabulously lively addition to a simple bridesmaid's gown yet bold enough to still get noticed against a more intricate or daring dress.